The SRAM Tour de Ranges is a celebration of the sport of cycling. Join us to ride 110km or 30km, A & P Showgrounds Clevedon, Auckland. This boutique event was created to attract all levels of cycling ability to some of the most remarkable roads in Auckland and is limited to 1000 riders. 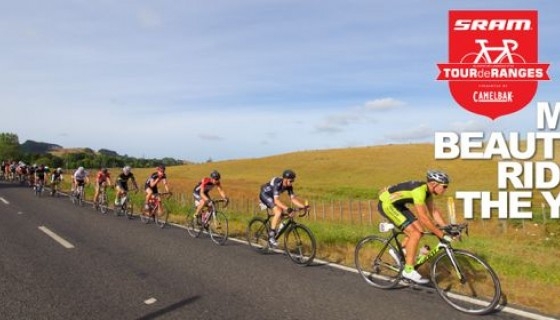 Starting and finishing at the Clevedon A & P Showground’s, both the 110km and 30km rides will wind their way through the tree-lined country roads and rolling hills of the Hunua Ranges before taking in the breathtaking sea views of the Hauraki Gulf.